I’ve always loved cooking in cast iron. Durable and old-fashioned, I get nostalgic in the kitchen when I used cast iron. It wasn’t until I hemorrhaged after delivering my first baby that I learned there are health benefits, not just emotional ones, to using cast iron. It is also good for our environment because cast iron cookware lasts forever and doesn’t use soap. Dietary iron is more beneficial and less dangerous than supplements, which can damage your liver in excess. 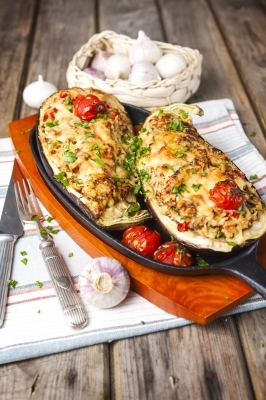 3)http://www.mayoclinic.org/diseases-conditions/iron-deficiency-anemia/basics/symptoms/con-20019327 Cooking in cast iron is an easy way to boost the iron content of your food naturally. It is one of the ways I was able to recover from losing six cups of blood during the birth of my daughter. Non-stick cookware was first introduced in the 1950s. Unfortunately, the chemicals used to create this easy to clean surface are toxic to humans (and pet birds). In fact, 99% of Americans’ bodies are contaminated with toxic PFOA. Cast iron cookware is a safe alternative. When properly cared for cast iron is naturally non-stick. Cast iron cookware is made by literally the way it sounds. Iron is heated and then cast into the shape of cookware. Cast iron cookware will last for at least 100 years. Even if not treated right, the rust can be scoured off and the pan re-seasoned. In today’s throw-away culture, this is important. 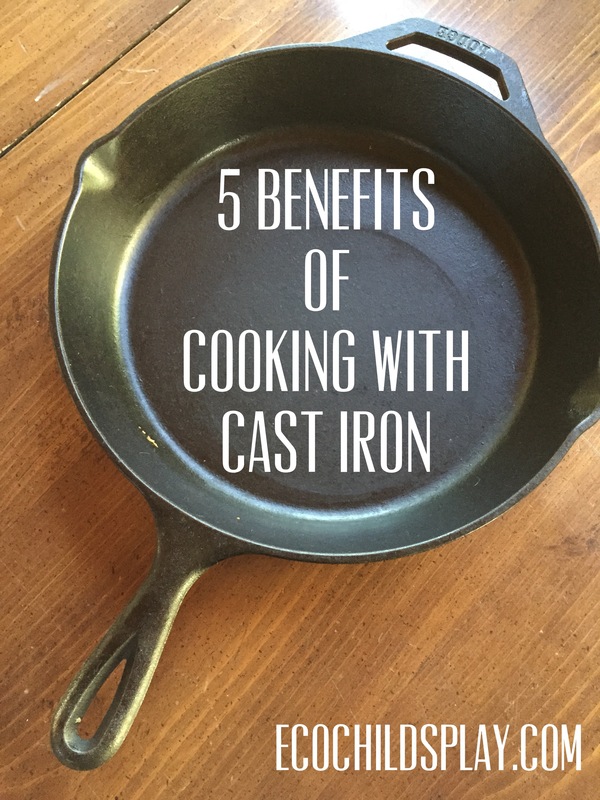 Even though you may not buy cookware as often as other kitchen gadgets, investment in cast iron is an investment for life. Many people complain cast iron is too heavy. This heaviness is what allows for even heating and excellent cooking results, unlike stainless steel which can heat unevenly. What I like about the heaviness of cast iron is it uses my muscles! The average cast iron pan weighs seven to eight pounds! I think you could design a whole workout routine lifting cast iron cookware! To clean cast iron cookware, you do not use soap. If you do, the pan will need to be reseasoned. For some dish soap bubble lovers, this can be hard to get used to. How can something be clean without soap? Salt is great for scrubbing cast iron, but hot water is usually all you need. Handwash and dry right away. Soap gets into our waterways. Although phosphates have largely been phased out of dishwashing products due to state lwas, many of them contain undisclosed 1,4-dioxane, an known human carcinogen. Even the greenest soap can have some effect on the environment. 6)http://thesweethome.com/reviews/best-dish-soap/ Dishwashing products can also contain triclosan and phthalates.